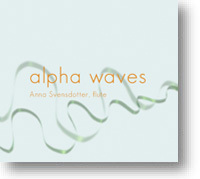 Anna Svensdotter is one of the few Scandinavian flutists with focus on contemporary music for flute, and her speciality is flute music combined with electronics. 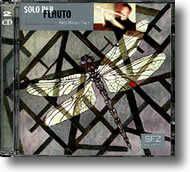 On this CD she presents nine works by eight Swedish composers. Read more about this production (information about the music and the artist, photos, press info, reviews). 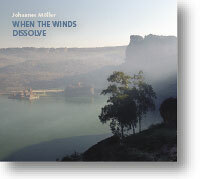 The 2010 GFA winner Johannes Möller plays his own works for guitar - solo pieces and works with flute and for two guitars. 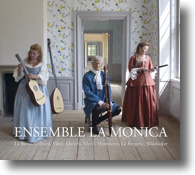 Ensemble La Monica, with its unique sound with two wind instruments and a theorbo, plays music from the 17th and 18th century by La Barre, Galliard, Visée, Matteis, Merci, Hotteterre, La Bergerie and Böddecker. 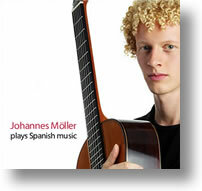 The young Swedish guitarist Johannes Möller plays works by Manuel de Falla, Joaguín Rodrigo, Antonio José, Eduardo Sainz de la Maza and Francisco Tárrega. A classical and romantic program filled with expression and virtuosity. 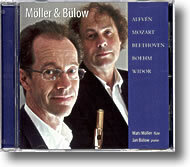 Music by Alfvén, Mozart, Beethoven (a transcription of his Violin Sonata in C minor), Boehm and Widor. Read more about this production (information about the music and the artists, photos, press info, reviews). 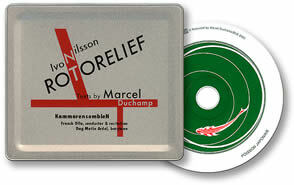 Music by the Swedish composer Ivo Nilsson, inspired by the Rotorelief by Marcel Duchamp, and with texts by Duchamp. 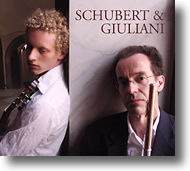 Works for flute and guitar from Vienna in the beginning of the 19th century, by Franz Schubert and Mauro Giuliani. 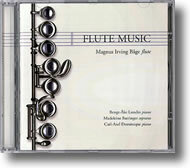 Works for flute and piano, and for flute and soprano, by Gubaidulina, Tubin, Edlund, Jolivet, Roussel, Messiaen and Dutilleux. 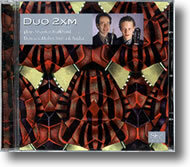 Works for flute and guitar by Shankar, Burkhard, Denisov, Möller, Sierra and Agdur. A portrait of the young Swedish composer Martin Q Larsson. 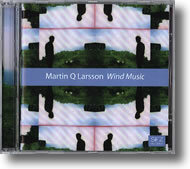 Music for Wind instruments: solos, chamber music, Wind Orchestra and electro-acoustic music in combination with instruments. 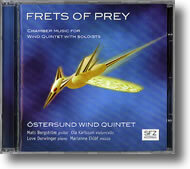 Chamber music written for Östersund Wind Quintet and soloists by swedish composers Jan Tolf, Anders Nilsson, Örjan Sandred and Sven-David Sandström. An exposé through the world of 20th century music for flute alone, focusing on Swedish music - from Debussy (Syrinx, 1913) to Deák (Fuvola, 2000). Cantilenas and subtleness, as well as virtuosity and new techniques for the instrument, developed from the 70's and on. Swedish flautist Mats Möller plays music by Debussy, Varèse, Jolivet, Bäck, Scelsi, Berio, Rosenberg, Ferneyhough, Takemitsu, Tiensuu, Morthenson, Grims-land, Nilsson, Welin, Eliasson, Sagvik, Karkoff, Maros, Möller and Deák.